It doesn’t matter if he’s armed with his group of friends and you’re all by yourself with no one really dancing with you for long. It doesn’t matter if it’s broad daylight and you’re completely sober. It doesn’t even matter if everyone is laughing at you. Because, for Snooki, a dance on the boardwalk is a completely acceptable way to show an ex you just don’t care (even if you do). And let’s face it… if we can learn poise from anyone, it’s the cast of Jersey Shore. You’ve been dating Kevin Federline for a year and a half, and your parents can’t stand him (in fact, the three exchange not-so-witty banter in your living room on a regular basis! ), so you go on Parental Control, where your parents set up dates (on camera) for you with Brad Pitt and Adam Brody. You allow each date to ridicule K Fed and you laugh right along with them, admitting to the camera that he doesn’t always make you happy. In the end, you decide that you admire Brad’s humanitarian efforts and suave ways, that you’re enamored with Adam’s dorky-cute personality, and that although both guys have more of the qualities you seek in a boyfriend, you will continue to date K Fed because you’ve been together for a while. And what does this teach us? In every relationship, longevity trumps happiness. When competing for the heart of the famed Flavor Flav, one must always remember that it’s totally okay to fight tooth and nail with the other girls, and that getting completely hammered right before an elimination is actually quite advisable. 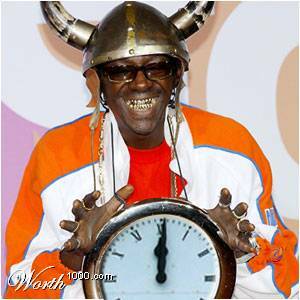 Just don’t lie to Flav about your body measurements, past experience on reality TV and game shows, or your reasons for being there (although, truth be told, everyone else is there for those same fifteen minutes of fame… that’s what Flav’s clocks are for). Keep your friends in the house close and New York even closer. I’ve blogged about this before, but one of the more common themes of ANTM seems to be the schism between the Extremely Outspoken and the Fake. If you need an example for how best to act around others, just take it from Angelea by letting people know (very obviously… exaggeration is good!) how bad of a mood you are in, by calling people out for not arguing with you, and by turning on your best friends when they are starting to outshine you. You cannot let anyone forget about you for one minute! 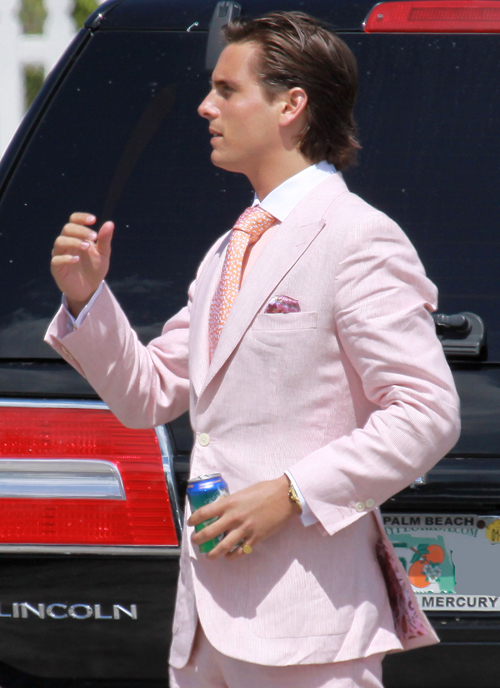 Well, maybe not always, but in Scott Disick’s case, they certainly do. In his case, what you see is what you get… in other words, if it walks like a jerk, talks like a jerk, and dresses like a jerk, then it probably is a jerk. Poor Kourtney Kardashian really picked the cream of the crop here, matching pink tie and all. Scott Disick has taught me that I will probably never date a guy whose wardrobe consists mainly of sweater vests (nor will I date a guy who ties his sweater around his neck). This has to be some kind of evolutionary tip-off. Thanks, Scott!